The City Council in Berkeley, California is considering a measure that, if passed, would mean landlords there could not maintain a “no-pets” policy. Referring to the complicated rules regarding companion animals, lawmakers appear to be arguing that if you can’t beat them, you should join them. Proponents suggest that the companion animal rules provide easy access to pets for those who have a disability, or those willing to say they do in order to keep pets. As a result, a number of problems arise including resentment between tenants when one is able to obtain an exemption for an animal but another fails, and concern on the part of landlords that a companion animal request may be fraudulent. Tracking the companion animal rules, under the proposed law landlords would not be required to accept pets that are dangerous, and tenants would be required to keep the rental property sanitary. In addition to clearing up any controversy over the companion animal rules, lawmakers say that the measure will help reduce the number of pets abandoned by renters who cannot find housing in one of the most competitive rental markets in the country. Incidentally, the Council is also looking into ways to reduce the number of overtime hours paid to workers who currently care for abandoned pets. The same councilmember pushing this measure forward also is focusing on another proposal that would require landlords to accept the first qualified tenant when advertising a vacancy. This, it is argued, would end an increasingly common practice within the city of stoking bidding wars between applicants, which ultimately drives up market rent. The policy would not set rental rates, but rather force a landlord to commit to the advertised price. 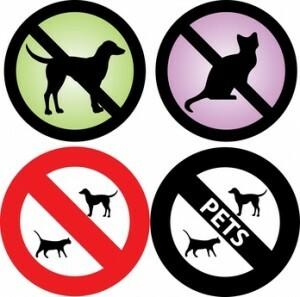 Forcing landlords to accept pets is bias against tenants with pet allergies. Owning & caring for a pet is a choice, breathing is not. If someone wants an animal to live inside their home with them, they should buy their own home, then they can incur as much pet maintenance cost as they want such as food, vet care, carpet replacement, etc. if someone cannot afford to buy a home, then chances are they cannot afford pet maintenance costs. Dog food and vet visits are expensive, apply that money toward a mortgage so you can do what you want instead of forcing a landlord to accept your pet. Some animal dander never goes away, regardless of new paint and carpet replacement, so the rights of next tenant with pet allergies to be able to breath is denied if landlords are forced to accept pets. For years, Ontario Landlords have been forced to accept pets. Further unlike most jurisdictions, we are not even allowed to collect a security deposit. Our Landlord and Tenant board refuses to hear any applications from a landlord after a tenant vacates the rental unit. This means the landlord can not apply to the Board to collect damages from a vacating tenant. Taking an Ontario tenant to small claims court after the tenant vacates is extremely difficult because our laws do not require tenants to give a forwarding address, therefore they can not be easily found to serve court notice and documents to.